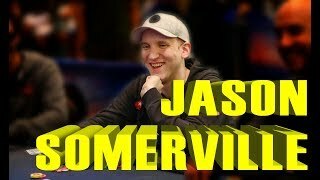 Jason Somerville is an American professional poker player from Miller Place, New York. In 2011 Somerville won the World Series of Poker bracelet in the $1,000 No-Limit Hold'em event taking home almost half a million dollars along with the prestigious trophy. Somerville has another four WSOP final table finishes as well as two World Poker Tour Championship event chases. Somerville was born in 1987 in Long Island, New York. 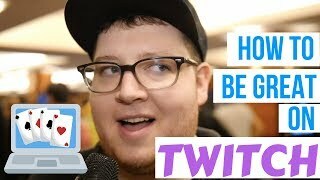 He started playing poker at the age of 17 after watching a World Poker Tour event on TV. He became interested in the game and soon started playing poker online as well as in home games with his friends. A year later Somerville cashed in his first official live tournament, the $200 No-Limit Hold'em event at the Annual East Coast Poker Championships in Verona. In 2008, Somerville became a poker coach at the online poker training site PokerVT. Somerville attended his first World Series in 2008 cashing in three No-Limit Hold'em events for a total of $16,000 in winnings. Then one year later he came back to Vegas for a much better performance. Again Somerville collected three money finishes, only this time he made two final tables. At first he finished runner-up in the $1,500 No-Limit Hold'em / Shootout event for almost $200,000 and then finished in fifth place in the $3,000 No-Limit Hold'em / Triple Chance tournament for another $100,000 in prize money. In 2010 Somerville added four more WSOP money finishes to his record, two of which came from finishing fourth in two different events, the $10,000 No-Limit Hold'em / Heads-Up Championship, and the $25,000 No-Limit Hold'em / Six Handed. Somerville took home a total of $640,000 in winnings that summer. He cashed only twice the next year, however, one of the two also came with his first bracelet. 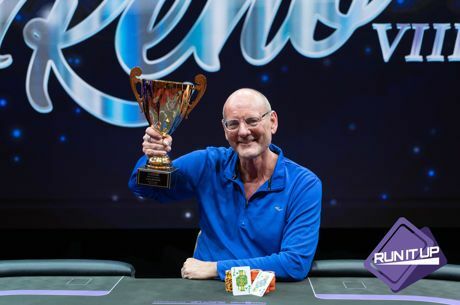 Somerville took down the $1,000 No-Limit Hold'em event for almost $500,000 in prize money and the shiny trophy. In 2012 he collected only one money finish, however, it was a decent one as Somerville took home just over $100,000 for the 69th place finish in the $10,000 Main Event. Somerville has two World Poker Tour money finishes on his record. His first cash came in 2009 when he placed 17th in the $15,000 Championship Event at the Bellagio Cup V for $30,990. His second cash came three years later when Somerville final tabled the L.A. Poker Classic's $10,000 Championship event. He finished the tournament in sixth place for $202,910. In 2009 Somerville scored two European Poker Tour cashes. He first finished 19th at the €10,000 EPT Grand Final in Monte Carlo collecting €52,000 and then traveled to London where he placed 73rd in the £5,000 Main Event for £9,200. In 2007 Somerville finished runner-up in the Heartland Poker Tour, Verona $1,000 Championship Event collecting $30,702 in cash. Then in 2010 he final tabled the $5,000 No-Limit Hold'em event at the PokerStars Caribbean Adventure. Somerville placed fourth in that tournament taking home $81,480 in cash. Then two years later he won $400,000 for finishing third in a $25,300 One Drop Mega Satellite at the 2012 World Series. Somerville started his online poker career by playing freerolls and had never deposited money on an online poker site. Jason Somerville is the only openly gay high-stakes poker player. He announced it in a blog post on Valentine’s Day in 2012 and received a lot of support from the poker community and the media.